There are soooo many reasons to belong to the only national association dedicated to school librarians. There are also many reasons to participate as an active member who volunteers for committee service. Additionally, at this time in the history of our organization, there are reasons to accept the invitation to support the 65th anniversary giving campaign. Develops a greater number of professional friendships and a collegiality that builds year after year. Lobbying for school libraries to local, state, and national government officials (157-158). All of these reasons may be important for individual school librarians at various points in their careers. 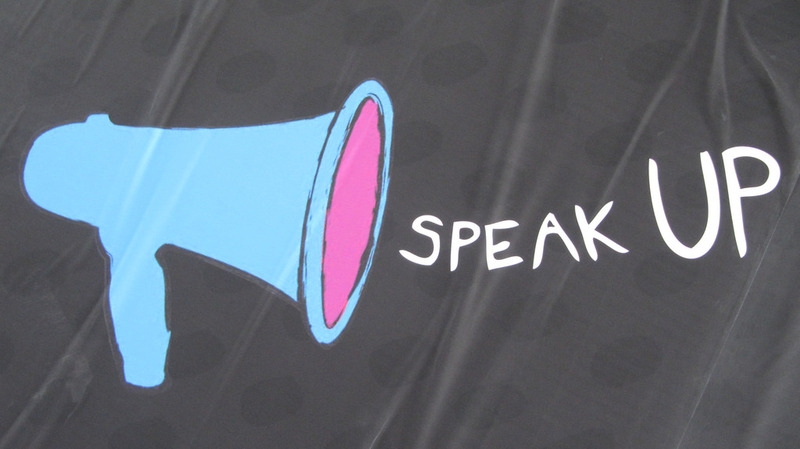 At this time of year when school librarians and their advocates are often called into action, the importance of improving one’s communication skills cannot be undervalued. As Hilda Weisburg notes: “One of the unexpected benefits of serving at the state, and even more so on the national level, is what occurs to your vocabulary. You develop a fluency in talking about the value of school librarians and what a strong school library program brings to students, teachers, and the educational community as a whole” (143). 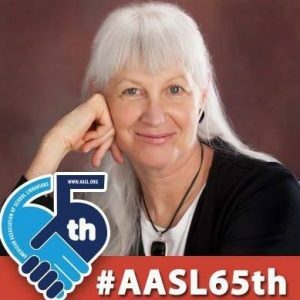 As a donor to AASL’s 65th Anniversary Campaign, I was invited to give a testimonial. 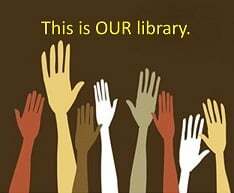 School Library Month is an optimum time to consider the importance of membership and participation in our national association. Link to the AASL 65th Anniversary page and make a donation to support AASL. And proudly wear your AASL 65th Anniversary pin and Twibbon. Ballard, Susan D., and Blanche Woolls. “Leadership — Assert Yourself!” Knowledge Quest Blog. 18 Apr. 2017, http://knowledgequest.aasl.org/leadership-assert-yourself/. Williams, Connie, and Blanche Woolls. “Leadership and Your Professional School Library Association.” The Many Faces of School Library Leadership, 2nd ed., edited by Sharon Coatney and Violet H. Harada, Libraries Unlimited, 2017, pp. 157-169. As part of School Library Month, the American Association of School Librarians sponsored a “Social Media Superstars Recognition Program.” The goal of the inaugural program was to acknowledge “the role social media plays in school library promotion” and to recognize “school library professionals who enrich the profession and its work on behalf of students by sharing information, expertise, ideas, encouragement, dialog and inspiration widely via a variety of social media channels” (Habley). The Task Force will review the comments made in support of the finalists and announce the overall Superstar in each category on Thursday, April 27th at 6:00 p.m. Central. I was honored to be nominated in the Leadership Luminary category along with Jonathan Werner and Joyce Valenza. I have followed Jonathan on Twitter for several years. He frequently shares his involvement with the International Society for Technology in Education (ISTE). In addition to the outstanding teaching and learning in his own school library, Jonathan fills me in on the activities of an organization to which I do not belong. It is vital for our profession to be well represented in highly influential technology and education organizations like ISTE. I especially appreciate Jonathan’s commitment to making sure school librarians are at the table when educational technology is being discussed and exemplary practices are being shared. There is no doubt in my mind that Joyce deserves the Superstar designation in this category. For over a decade, Joyce’s Neverending Search blog has been a go-to source for so many (everyone?) in the school librarian profession. Joyce generously shares her thinking about issues and practices related to teaching and learning in school libraries. She also writes for a wide audience about her own learning and application of technology tools and digital resources. Joyce’s influence extends far beyond the school librarian community. Her expertise is recognized nationally and internationally. Her blog’s placement on the School Library Journal site ensures her expansive reach. For many school administrators, educational leaders and decision-makers “Joyce Valenza” is synonymous with “extraordinary school librarian.” Joyce shines a positively luminous light on our profession. She is most deserving of this recognition. As a “Leadership Luminary” nominee, it was informative to me that by far this category received the fewest comments. I believe that members of the profession who commented understood the specificity of the other six categories. Perhaps it was more straight-forward for them to note how finalists in other categories influenced their practice. I suspect that for many the “Leadership Luminary” category lacked that clarity. To my way of thinking, all of the Social Media Superstars finalists are leaders. In fact, there are many, many additional school librarian leaders who use social media to “enrich the profession and its work on behalf of students by sharing information, expertise, ideas, encouragement, dialog and inspiration widely via a variety of social media channels” (Habley). Through their work, which they promote via social media, these social media superstars have positively influenced their colleagues’ practice of school librarianship. They have promoted our profession and educated others on the essential work that school librarians do every day. This recognition program has helped me identify school librarians whose work was not as well known to me as it should have been. I look forward to following and continuing to learn from all of the finalists. Thank you for your passion and dynamic contributions that promote our profession and help us all grow more knowledgeable and become more recognized for our vital work. Habley, Jen. “AASL Social Media Superstar Finalists Announced!” Knowledge Quest, American Association of School Librarians, 22 Mar. 2017, knowledgequest.aasl.org/superstar-finalists/. Accessed 17 Apr. 2017. Sinek, Simon. “How Great Leaders Inspire Action.” Ted Talk. Ted.com. Sept. 2009, https://www.ted.com/talks/simon_sinek_how_great_leaders_inspire_action?utm_source=tedcomshare&utm_medium=referral&utm_campaign=tedspread Accessed 1 Apr. 2017. P.S. If AASL and the Social Media Recognition Task Force are seeking feedback on this inaugural program, I would ask them to consider that all of the Superstars in the other six categories are leaders and that the “Leadership Luminary” category may not be necessary in the next round. There is a strong relationship between these two themes: empowerment and transformation. How then do school librarians empower students? School librarians empower students by helping them become engaged, effective and critical readers, avid inquirers, and motivated knowledge creators. Empowered students develop agency and become self-directed learners; they are prepared for lifelong learning. In my experience, the way school librarians empower student learning is through classroom-library coplanning, coteaching, and coassessing outcomes. When school librarians bring their expertise to the collaboration table, they influence the curriculum, instructional strategies, and resources, including technology tools, available to students. Through reciprocal mentorship with classroom teachers, school librarians influence other educators’ teaching, even when they are not coteaching with the librarian. They impact the learning of all students in their schools. This is the way empowered school librarian leaders best serve empowered students and colleagues. • When you empower someone, you help them feel more confident and sure of their abilities. • Leaders need to empower their stakeholders. • Through your teaching, readers’ advisory, and one-on-one help, you empower students. • You empower teachers by helping them with technology and current educational practices. • Keeping administrators aware of tech resources being integrated into instruction, and showcasing the work of teachers whose classes have used the library, empower administrator (134). What does transform used as a verb mean? Google says it means: “make a thorough or dramatic change in the form, appearance, or character of.” In my experience, libraries lead by progressive librarians can transform entire communities. Through community-based librarianship, school, public, academic, and special libraries enter into partnerships to help people achieve their goals. As David Lankes writes in his book Expect More: Demanding Better Libraries for Today’s Complex World: “The mission of the library is to improve society through facilitating knowledge creation in the community” (33). He goes on to discuss the importance of the word “improve,” which along with “facilitate” implies proactive, collaborative, and transformational action (42-43). Libraries led by progressive librarians collaborate to transform their communities. In the age of innovation, empowered educators and administrators have the potential to transform the school learning environment and the quality of students’ learning experiences. They also collaborate with a goal of transforming educators’ instructional practices. Through transformed practices, educators and administrators can cofacilitate learning opportunities that are authentic, relevant, and meaningful to students. Empowered students, school librarians, and other educators can transform learning and teaching. That’s what I am celebrating this month. Side note: On Tuesday, April 11th, the #txlchat topic is school library advocacy. James Allen, Suzanne Dix, Sara Kelly Johns, and Jane Lofton will be guests. The chat is held on Twitter at 8:00 p.m. Central time. Lankes, R. David. Expect More: Demanding Better Libraries for Today’s Complex World. CreateSpace Independent Publishing Platform. 2012. April is School Library Month. This is a time of year when school librarians across the country spotlight the transformational learning and teaching that is happening through school library programs. School librarians who continually improve their expertise and collaborative skills build effective school library programs. Their exemplary programs are the foundation they need for advocacy. In her chapter entitled “Becoming an Expert Teacher,” Hilda Weisburg writes this: “Many librarians have struggled with getting teachers to work with them but you (school librarian) will never be regarded as a leader if you work alone in the library” (47). In support of preservice school librarians’ understanding of and commitment to the power of classroom-library coteaching, I curated a collection of video testimonials of classroom teachers and specialists talking about their positive experiences collaborating or coteaching with their school librarian. While it is ideal for students, classroom teachers, principals, parents, and other library stakeholders to advocate for school librarians and school library programs, it behooves school librarians themselves to unleash their passion for the difference their work and the resources and environment of the school library make in empowering students’ learning and teachers’ teaching. At the invitation of Jennifer LaGarde, school librarians from across the country are providing testimonials about their understanding of future-ready school librarianship. Reedy High School (Frisco, Texas) librarian Nancy Jo Lambert submitted a video response to the question: “What is a future ready librarian?” I believe that Nancy Jo’s response is brilliant because she confirms her focus on curriculum and classroom-library collaboration in order to positively empower student achievement. Brava, Nancy Jo. Please view Jennifer’s crowdsourced flipgrid and get an idea of how your future-ready colleagues express their future-ready roles. Here’s to all the school librarians who shout out about the privilege of learning with and from awesome students and collegial educators. Here’s to the librarians whose stakeholders shout out about the indispensable role school librarians and school library programs play in the education of future-ready students.